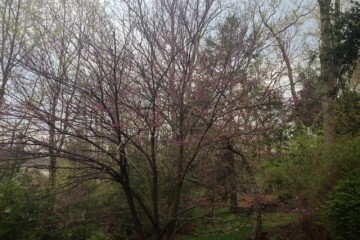 Seedlings at the Tree Pittsburgh riverfront site in Lawrenceville. Photo by Amanda Waltz. On a patch of land beneath the 62nd Street Bridge, Tree Pittsburgh is looking to train the next generation of local dendrophiles. On Oct. 18, the environmental nonprofit unveiled an expansion of its existing tree nursery on the shores of the Allegheny River. 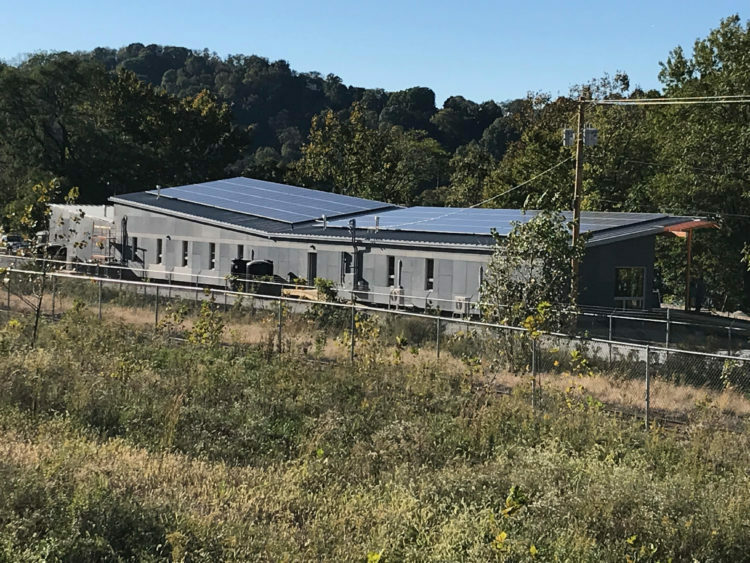 In addition to new space for more than 100,000 new tree saplings, Tree Pittsburgh also opened the doors to its new and totally green education center. The new education center for Heritage Tree Nursery. Photo by NEXT staff. “Through this education center and the expansion of our nursery, we want to build local efforts to grow our urban forest and get more of our community engaged in that work,” said Danielle Crumrine, executive director of Tree Pittsburgh. To design the new center, which will also serve as offices for staff, the group partnered with GBBN Architects, an international firm with an office on Penn Avenue. The building was designed to achieve LEED Platinum status and was built with support from Green Mountain Energy’s Sun Club, the Penelec Sustainable Energy Fund and a grant from the Pittsburgh Water and Sewer Authority. It is 100 percent solar-powered and all of the rain runoff it creates will go towards irrigating the many saplings on the property. In the coming months, Tree Pittsburgh hopes to make the building a center for field trips and environmentally-focused community events. 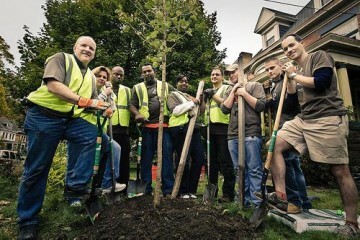 The nonprofit was joined by Pennsylvania State Forester Ellen Shultzabarger for the opening ceremony. Shultzabarger, the first woman to hold the position overseeing all of the state’s public and private forests, praised the initiative as she toured the new greenhouses and facilities. Tree Pittsburgh’s Heritage Nursery is unique in that it emphasizes growing a wide variety of tree species found across Western Pennsylvania. The mission, says the staff, is to grow a generation of new trees that will address a critical lack of diversity that is threatening the survival of our forests. According to a study compiled by Tree Pittsburgh, Allegheny County lost 10,000 acres of trees (roughly equivalent to 7,500 football fields) between 2011 and 2015. While some of this loss is simply a result of new construction and development, a significant portion was the result of disease and the impact of invasive species. 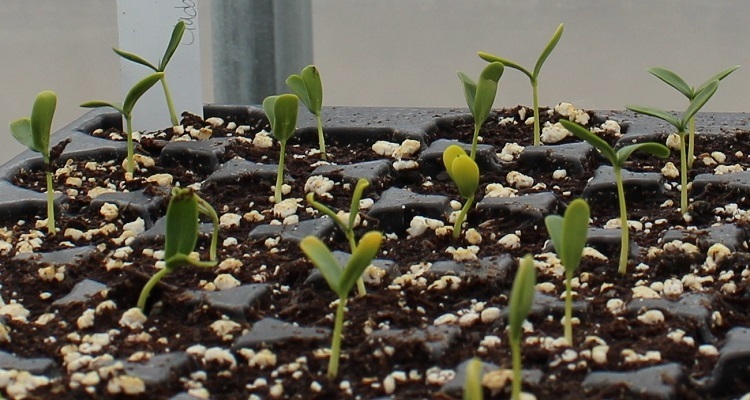 The issue stems from the widespread practice of nurseries growing trees through cloning, where a certain type of tree is mass-produced from an array of cuttings instead of being grown from seeds. This leads to identical trees that, while pleasing to the eye as decoration along driveways or city streets, are vulnerable to diseases, pests and environmental shifts caused by climate change. Beyond their beauty, experts say oxygen producing trees offer a host of other benefits, including stormwater management, help with air pollution and overall improvement to the health of humans.